A huge snake estimated to be 80-feet long was caught during the celebration of the 2016 Kadayawan Festival in Davao City over the weekend. 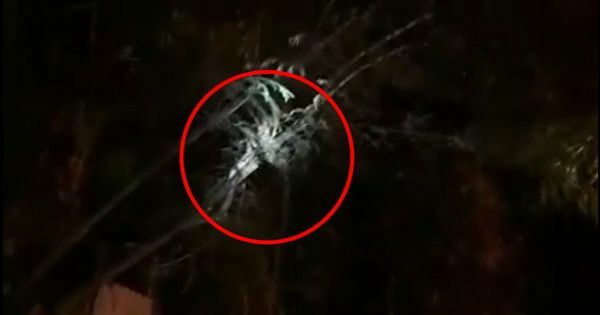 Facebook user Benjie Ang posted a video that shows a group of men trying to capture a python hanging on a branch of a tree along Santa Ana Avenue. The uploader said a brave man volunteered to climb and catch the reptile all by himself while the 911 team was on their way. The incident created a bit of disturbance and traffic in the area after the python attempted to escape. Another man is seen in the video rolling on the ground as he tries to grab the head of the snake, which fortunately was nonvenomous. There were no reports that the huge python caused harm among the residents and visitors who were roaming in that part of the city during the festivities. It was not known where the authorities brought the huge python after being captured.